Transparency reports are still in their infancy. In the years since Google released its first transparency report in 2010, we’ve seen an explosion in both the number and diversity of reports. We fully expect the experimentation with reporting approaches and styles to continue over the coming years. Our work has focused on one small part of the transparency landscape: reporting on government requests for user data, which has been a nearly universal element in transparency reports. Some companies have developed, or are developing, transparency reports that cover a wide range of other equally important areas, including content takedowns, copyright takedowns, terms of service violations, and much more. For that reason, this is a work in progress. This work reflects our understanding of best practices today; as companies continue to iterate, best practices will evolve and change. For example, many individuals across companies, civil society, and academia are currently trying to identify the best approaches for transparency with respect to company responses to terms of service violations. As transparency reports develop, we hope to revisit these resources and update them. Along the way, we welcome feedback. Our research has documented such a vast array of approaches and practices within the landscape of current transparency reports that it is impossible for us to address all questions or resolve all tensions, and we invite feedback from those who think we have missed something. We hope this template and guide helps companies as they seek to develop their transparency reports, and we look forward to working with them in further developing this resource. As companies work to implement this guidance, we encourage them to contact us to share feedback and update us on changes to their reports. Feedback and other comments can be sent to transparency_toolkit@cyber.harvard.edu. 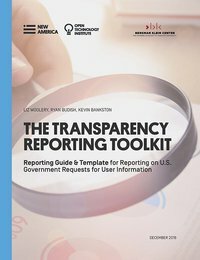 The Transparency Reporting Toolkit is a joint project by New America’s Open Technology Institute and Harvard University’s Berkman Klein Center for Internet & Society. 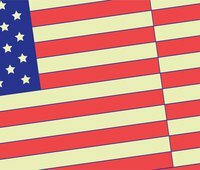 The purpose of the Toolkit is to make it easier for companies to create better transparency reports about government requests for user data. Similarly, by providing a template and best practices, the Toolkit aims to make it easier for new companies to begin transparency reporting. By following the recommendations in this guide, which are grounded in existing best practices, transparency reports can become more consistent, easier to understand, and more effective. These components of the Toolkit build on our extensive research into transparency reporting. For the past three years we have surveyed transparency reports, hosted multiple workshops with representatives from academia, civil society, and a variety of internet companies, and conducted numerous interviews with transparency reporting leaders at many internet and technology companies. From this research we have identified the best practices and recommendations that are central to this Toolkit.